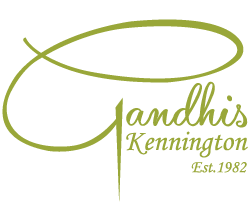 Gandhis was the very first Indian restaurant on Kennington Road opening its doors in 1982, a pioneer of Indian cuisine and has since proudly been owned and run by the same family. The philosophy was simple then and still is today; to serve food prepared in the best Indian traditions from a menu that reflects the great regional diversity of Indian cuisine. 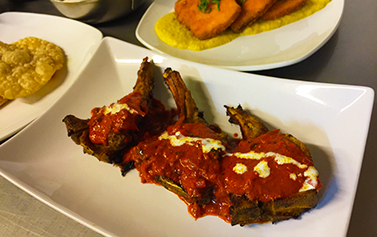 The chefs at Gandhis take pride to have maintained a classic Indian menu based on the most traditional recipes from India, whilst understanding the contemporary demands of finely tuned tastes of the 21st century. 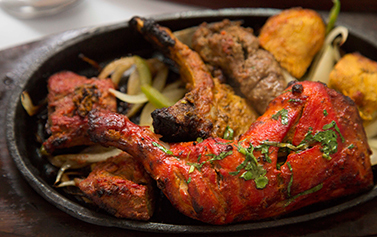 At Gandhis our chefs have always been passionate about ingredients, understanding that the best flavours can only be achieved from the freshest ingredients and spices. Therefore the ethos is simple; at Gandhis only the finest ingredients come in and the spices are freshly ground on a daily basis. Since opening in 1982, Gandhis has built up a loyal following in the local community and built a reputation for exceptional service and mouth-watering food. Over the past 35+ years Gandhis has also catered for numerous distinguished guests, including celebrities, television personalities and situated a mile from The House of Commons Gandhis has been a firm favourite with politicians. Our first-class customer service, comfortable and modern décor create the unrivalled ambiance for the perfect Indian dining experience without being pretentious, ensuring that all have the opportunity to enjoy the Gandhis experience. Great to see Ghandis doing deliveries... genuinely one of the best curry spots in South London. Tender flavoursome strips of lamb cooked in a fresh cream and cultured yoghurt base and served with a mix of ground nuts. Pulled boneless Tandoori chicken cooked in a creamy rich butter sauce flavoured with fenugreek.